You've forgotten this already, haven't you? Shame on you. 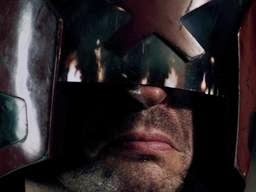 Dredd is a classic movie. It was a brave move to give the fans what they wanted, but Pete Travis and Karl Urban did. So why has it already been forgotten? The simple answer is Stallone. I'm not getting into that debacle: The Stallone vehicle "Judge Dredd" is what it is. 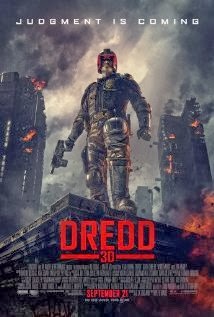 Dredd (2012) is a very different movie. But that's not what the customer thought. Did you know a lot of people thought Dredd (2012) was a remake of the Stallone film? Did you know people have never heard of 2000AD, the comic book that has been around for as long as I have? That's why it is forgotten. Okay. First off I have to say Dredd is for adults. If you saw the Stallone one, it's...um...not like that. It's hyper-violent. It's also hyper-awesome. You know. Like the comic. I want to touch on the budget. It's worth saying. 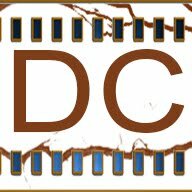 It's low budget, and to be honest, most people would see that term and cower away from the "cheap" movie. You wouldn't know. It's far superior to the likes of say The Expendables or it's sequels. (No, I'm not purposefully having a pop at Stallone. I love the guy's movies). I like to stay spoiler free, but the plot is standard action fare, Dredd (Urban played pitch perfect) and his rookie partner for the day, Anderson (Olivia Thirlby, again, a flawless performance), get into a game of cat and mouse with Lena Headey's terrifying delivery of Ma-Ma. It terrifies me that the future might look like this. It terrrifies me more that people haven't seen this, and it's struggling to get a sequel. Especially as it is widely available on Blu-Ray and DVD. Hell, it's less that $10 on Blu-Ray at Amazon. Did this come off as more of a rant? You decide.